You voted for your favorite fish fry in Saucy 16. Here's who moved on. The Lenten season is about halfway over and so is the 13 ON YOUR SIDE Fish Fry Frenzy. 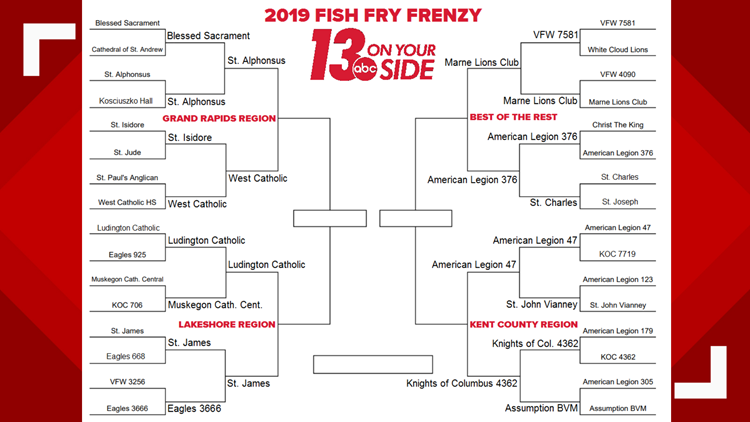 There's still time to try - and vote for - some of the best fish fry dinners in West Michigan. This week will determine the champion of the Grand Rapids, Kent County, Lakeshore, and "Best of the Rest" regions. Those champions will be going on to the "Fried Four." 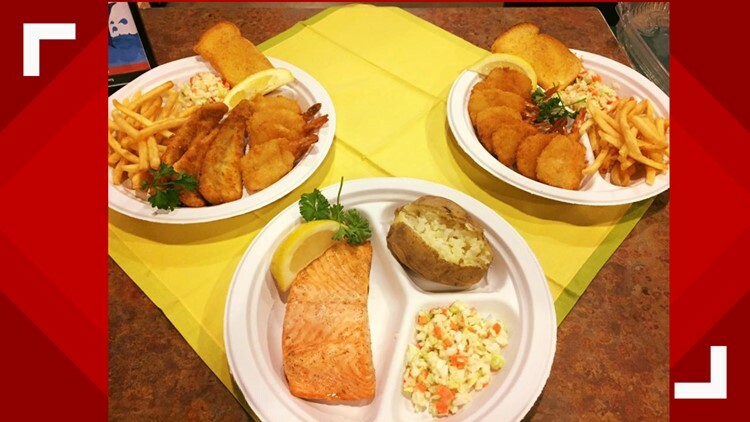 Below, you can vote for your favorite fish fry in the Edible Eight! You have until Tuesday, April 2 at 11:59 p.m. to do so. You will be able to vote once per day. We will announce who is moving on to the Fried Four on the Friday, April 5 edition of 13 ON YOUR SIDE Mornings. If you don't see your fish fry below, feel free to add it to our interactive fish fry map. App users, click here to vote.